The UK Climate Change Act (2008) set legally binding targets for a national 34% reduction in greenhouse gas (GHG) emissions by 2020 (compared with 1990 levels). UK Universities and other centres of Higher Education represent a sector where large reductions in carbon emissions are possible. 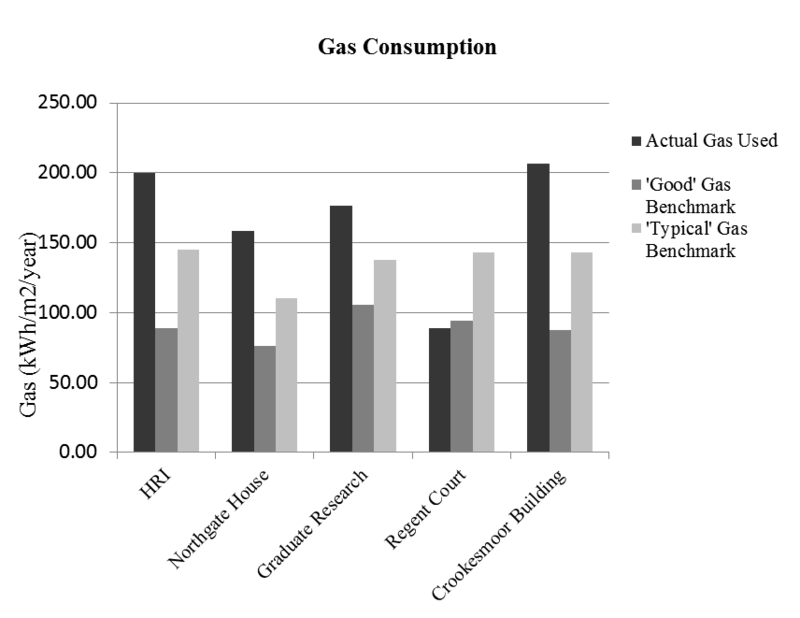 As such, in 2010 the Higher Education Funding Council for England (HEFCE) produced a sustainable development action plan for Higher Education (HE, 2010), setting a target for a 43% reduction on annual direct and indirect GHG emissions by 2020 (from a 2005 baseline). Critically, the HEFCE has made 40% of each HE institution’s capital funding dependent on their successful adherence to the CIF 2 (Capital Investment Framework 2, 2009), requiring the demonstration of clear carbon management plans and progress in line with the sector level targets. TheUniversityofSheffield(UoS) is a large research-led university based in South Yorkshire, England. Charted in 1905, the UoS consists of fifty departments grouped under six faculties (i.e., Arts and Humanities; Engineering; Medicine, Dentistry and Health; Science; and Social Sciences). There are currently over 25,000 students and over 15,500 academic and support staff. For the UoS, the abovementioned HEFCE target equates to a decrease in CO2 emissions from around 35,000 tonnes of CO2 (2005 level) to 19,000 tonnes of CO2 by 2020 . To help meet this challenge, the UoS recently commissioned a carbon reduction report in order to identify where savings could be made. This report concluded that in order to meet a 43% reduction in CO2 emissions, there would need to be simultaneous action on three fronts: (1) improvements to the energy efficiency of buildings and appliances; (2) investment in self-generation energy technologies (e.g., wind turbines, solar panels, etc. ); and (3) changes to the energy-use behaviour of staff and students across campus. The prominence of encouraging behaviour change within this report adds impetus to a number of schemes currently in operation at the UoS that are aimed at reducing energy consumption. For example, the recently introduced “BeCause” campaign, which aims to promote energy reduction and recycling initiatives throughout the University (see: www.shef.ac.uk/because) and the participation of some departments in the National Union of Students’ (NUS) ‘Green Impact’ scheme, a national competition designed to promote energy efficiency and sustainability within universities and colleges (see: www.eauc.org.uk/green_impact). The present study sought to investigate the current energy use practices of staff and students within five buildings across the UoS campus using a focus group protocol (detailed below). Being a large, research-led University comprising a range of modern and more dated buildings, it is felt that issues raised by occupants within these buildings will to some extent reflect similar issues within similar Universities in theUK. The five buildings included within the investigation were the Crookesmoor Building (CB), the Graduate Research Centre (GRC), Regent Court (RC), Northgate House (NH) and the Humanities Research Institute (HRI) . The locations of these buildings on the UoS campus can be seen in Figure 1 and details of the building characteristics are presented in Table 1. Lecture theatres, IT facilities, staff office space, study rooms, and a library space. Research space and seminar rooms. Lecture theatres, ceramics workshops, labs, study rooms, IT facilities, office space. 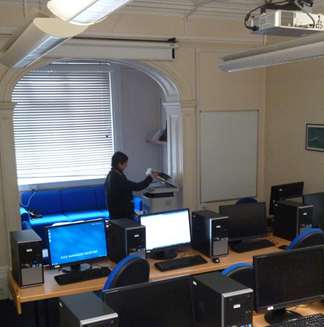 Seminar rooms, study rooms, IT facilities and office space. Research space, computer suites, conference and seminar rooms. These five buildings were selected on the basis of the UoS’s on-going “Low Carbon Estates” project undertaken with BEAU (Building Environments Analysis Unit) in the school of Architecture (Altan, Douglas and Kim, in press) and represented a mix of building styles, ages and uses. The project had previously collected detailed data on the gas and electricity usage or each building and compared these with the CIBSE (2004, 2008) “good” and “typical” usage benchmarks for the type of workspaces present in each building. It was found that electricity performance in each building was lower than the ‘good’ benchmark (except in Regents Court, see Figure 2), while gas usage was higher than the ‘good’ benchmark in all buildings (except Regents Court, see Figure 3). Thus, each building was underperforming in terms of either its gas or electricity consumption compared with what would be expected as ‘good’ for the building type . Altan et al. (in press) suggest that the difference between Regents Court and the other four buildings hinges on the high number of computers present in this building. It is reasoned that the heat generated from these computers reduces the need for gas heating, whilst increasing the need for cooling from air conditioning units. As such, while gas consumption is reduced, electricity consumption is increased. Altan et al. (in press) concluded that energy consumption within each building could be reduced through physical alterations to the buildings, such as the installation of double-glazed windows, however, they also identified the level of control people had over the heating and ventilation of the building, the over-use of lighting and unused computers being left on as key sources of energy waste. Such user-related behaviour is a large component of the energy consumption of buildings but is difficult to account for in benchmark analysis (Hernandez, Burke and Lewis, 2008) and was not considered within Altan et al.’s (in press) benchmarking comparison. Therefore, within the current research we investigated occupant perceptions of energy consumption in order to increase understanding of how energy is considered and consumed within these University buildings. Figure 2. Electricity Consumption of five University buildings against “Good” and “Typical” benchmarks. Adapted from “Energy Performance Analysis of University Buildings” by Altan et al., in press. Adapted with permission. Figure 3. Gas Consumption of five University buildings against “Good” and “Typical” benchmarks. Adapted from “Energy Performance Analysis of University Buildings” by Altan et al., in press. Adapted with permission. Five qualitative focus groups were held with staff and post-graduate students within the selected buildings (one group per building). Participants were invited to participate via email and each received a gift voucher worth £5.00 (approx. $8.00) in exchange for contributing to the research (see Table 2 for participant details). Each focus group ran for between 60 and 80 minutes, within which time participants were required to discuss: (1) their awareness of the building’s energy consumption; (2) their perceived level of control over energy use in the building; (3) their priorities for reducing their energy consumption; and (3) any perceived facilitators and barriers to reducing energy consumption in the building (for a list of the main questions asked, see Appendix A). These topics were selected as the basis for the discussion as they are known to influence energy use in shared building environments. For example, it is often argued that building occupants need to first have an awareness of their energy use before efforts to increase efficiency and prevent wastage will be made (Zimmerman, 2008; Driedger, 2011). Equally, however, it has been shown that awareness alone might not translate directly into behaviour due to physical and psychological barriers to action (for a review, see Gifford, 2011). For instance, a desire to regulate indoor working environments in order to maintain thermal comfort (e.g., through the use of portable electric heaters) can challenge motivations to reduce energy consumption (Cooper, 1982; Liu, Yao, Wang & Li, 2012). And, more generally, perceptions of personal control over workplace conditions (or lack thereof) are known to influence people’s energy usage (see Maniccia, Rutledge, Rea & Morrow, 1999). Following the focus group discussions, a questionnaire was used to acquire basic demographic information from participants. This included a revised New Environmental Paradigm (NEP) scale (Dunlap, van Liere, Mertig and Jones, 2000), which was used as a quantitative indicator of participants’ environmental attitudes. The NEP consists of 15 items designed to measure respondents’ environmental attitudes. Higher scores on the NEP items indicate a more ecocentric orientation with a greater commitment to the preservation of natural resources, whereas lower scores indicate an anthropocentric orientation, suggesting a commitment to exploitation of natural resources. See Table 2 for the mean NEP scores and explanation of the coding. 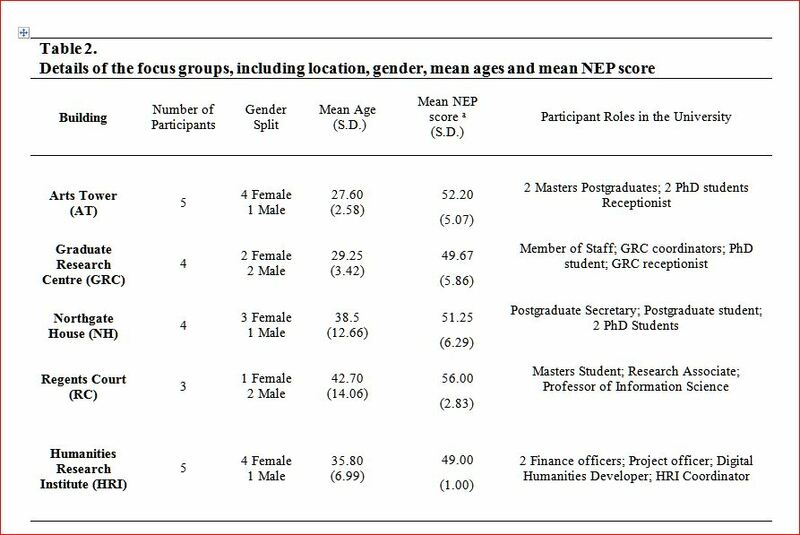 aMeans calculated for participants who completed all NEP items only: NH (N=4); AT (N=5); RC (N=2); GRC (N=3); HRI (N=3). The scale was modified with the removal of the “unsure” response option. Responses were scored 1 to 4 with 1 being “strongly disagree” and 4 being “strongly agree”. Higher scores mean greater pro-environmental attitude agreement. Scores were summed with a minimum possible score of 15 and a maximum possible score of 60. Scores over the midpoint of 37.5 were deemed to indicate proenvironmental attitudes. All the focus groups were facilitated by the same researcher. Thematic analysis was used to code the data and then develop themes. The data was second coded by an independent researcher who was not involved in the data collection. Disagreements in coding were discussed until there was a high level of concordance across the coding (>70% agreement; Kappa = >0.5). The main themes that emerged in response to each of the main questions are summarised and discussed below. 3.1 Awareness of personal impact on energy consumption. Participants were asked to consider to what extent occupants are aware of the impact of their usage on the building’s consumption. Two prominent themes emerged: (1) a perceived need for more information; and (2) issues of ownership and responsibility for energy use. “It’s just nobody ever tells you, so nobody ever thinks about it” (Female 3, NH). “We don’t pay the bills, so, you’re much more likely to be aware and take responsibility in what you’re doing if you’re responsible for paying the bills” (Male 2, HRI). “There’s a hundred odd regular users of this building…not every single one of them feels it’s their responsibility to try and make the energy use here as efficient as possible” (Male 1, GRC). The perceived lack of responsibility also appeared to be tied to the perception of others’ levels of concern with energy conservation. That is, it was recognised that a propensity to take action was likely to relate to people’s personal views on energy conservation and their environmental values and that those with less of a concern would be less aware of and less concerned with their energy use. 3.2 Control over building’s energy consumption. Participants were asked to consider how much control building occupants had over the energy they used within the building. Again, two key themes emerged from the discussion: (1) the lack of perceived control over the building’s energy consumption; and (2) the necessity of energy use. “The fact the building is used by so many people; people don’t necessarily feel that they have control” (Male 1, GRC). “[Building occupants] kind of expect it to be dealt with by somebody else” (Male 1, GRC). This ‘sub-optimal’ energy use behaviour was seen as justifiable on the grounds that it was perceived to be the only direct means of regulating their thermal comfort. This would appear to relate to the fact that the general heating for the buildings is controlled centrally by the University an issue that, anecdotally, is a perennial issue within a number of buildings across the UoS campus. “I think that different people have different levels of control depending on what type of equipment they’re using…I probably use more than [Female 3] overall because I’ve got my computer…and I need to use these things and it’d be difficult for me to cut down” (Male 1, NH). The discussion of priorities for energy conservation within University buildings could also be divided into two themes: (1) behaviour change; and (2) technological change. It was felt the University should be doing more to lead conservation efforts and that energy conservation should be a more visible priority for the University. To this end, a perceived priority for the University was to provide more detailed and accessible information about energy usage, both the levels of consumption and methods to reduce consumption. Participants felt that existing means of communication (e.g. email notifications) were ineffective and that more could be achieved via other means (e.g., television screens displaying energy use data in campus buildings). “Having some transparency about energy usage…and putting the onus on people in the building to think about that…to consider it as their responsibility” (Male 1, GRC). “[I]f you introduced some kind of initiative like Green Impact and people could see that people were getting involved and making changes, then they may think ‘ok, that’s good, I’ll make an effort too’” (Female 3, HRI). Participants also suggested that incentivising departments across campus to reduce their usage, either through offering an opportunity for them to spend any financial savings from energy conservation activities on new equipment for the department or by encouraging energy saving competitions between buildings (again with some kind of reward), could promote behaviour change. It was stressed, however, that there should be no punishment for energy wastage, only rewards for reductions. It was felt that technological change, such as installation of movement sensors for lighting or the replacement of inefficient electrical equipment, should come before (or at least at the same time) as behaviour change efforts. It was reasoned that technological changes could lead to immediate returns in terms of energy saving, while behavioural change efforts could take time to yield such returns. It was also reasoned the visible introduction of more efficient technologies across campus might stand to generate awareness of the need for greater energy efficiency and more conservative use of energy. This study used focus groups to investigate the current energy use practices of staff and postgraduate students inhabiting five ‘under-performing’ buildings at the University of Sheffield (UoS). Participants discussed their awareness of energy consumption, their perceived level of control over energy use, their priorities for energy conservation and the perceived facilitators and barriers to action to reduce energy consumption. Several factors were found to relate to people’s intentions to conserve energy in University buildings. These included the perceived actions and opinions of other building users (and University authorities), and their perceptions of control over reducing energy consumption. Desire for information. Participants suggested that the University’s desires to reduce energy use across campus had not been successfully communicated to them, resulting in a lack of awareness about current energy use in their buildings and a general feeling that it is not their responsibility to manage it. It was felt that providing information on usage would make people more aware of how much they are consuming and this may in turn lead to them to consider it to be their responsibility and promote conservation. The issue of a perceived lack of information from the University is interesting, particularly as it contrasts with the on-going efforts to engage members of the UoS around the importance of conserving energy (e.g., through the “BeCause” initiative). At one level, this finding perhaps illustrates the need for the UoS to invest in more actively in its sustainability message in order to improve general awareness and the perceived importance of this issue. More generally, however, it suggests that there is a need for institutions to regularly evaluate the actual penetration of efforts to increase awareness of sustainability/energy reduction initiatives, so as to test their actual on-going effectiveness. Desire for control: The occupants in general felt they had very little control over how much energy they consumed in their buildings, particularly due to the automation of the heating system and the necessity of certain electrical equipment. The suggestion that occupants are using electric heaters to supplement their building’s heating, despite the gas usage (for space heating) exceeding “typical” benchmarks, is worrying and adds impetus to the need for a greater understanding of occupants’ behaviours so as to limit this supplementary energy use where it is not warranted. The multiple occupancy nature of the buildings further added to the feeling of little control. Not only did people feel that they did not have the authority to instigate departmental behaviour change initiatives (or believed that efforts to reduce energy consumption might adversely affect other building users) but also appeared to diffuse the perceived responsibility for taking action and/or reduce the perceived personal positive impacts. In some cases, the NUS ‘Green Impact’ scheme was seen as a good vehicle for providing ‘regular’ building occupants with the required authority and autonomy to take more action in order to address energy use. However, it was also argued that if responsibility for the ‘Green Impact’ was delegated to one person or group that this could backfire and reduce people’s perceived personal responsibility for taking action. Prioritise technological change: Priorities for the reduction of energy use initially centred on technological changes, to make equipment as efficient as possible and to increase the occupants’ ability to moderate the building temperature. Discussion of how to then change behaviour focused on the monitoring of energy use and incentivising reductions and rewarding conservation efforts. This preference for technological intervention could perhaps be seen as a by-product of the above issues of awareness, control and responsibility. That is, to the extent that people are not aware of their energy use behaviour, how to reduce it, or personal responsibility for doing so, imposed technological interventions are a perceptively simple solution, with low personal cost, but potentially high personal gain (e.g., in terms of the introduction of new energy-efficient equipment). Many of the concepts raised by participants for not taking action would appear to mirror those within the Theory of Planned Behaviour (TPB, Ajzen, 1985); a general model used to link behavioural intentions with subsequent behaviour, as well as the more specific, heuristic model of environmentally relevant behaviour proposed by Matthies (2005). They would further appear to relate to established psychological theories such as diffusion of responsibility (e.g. 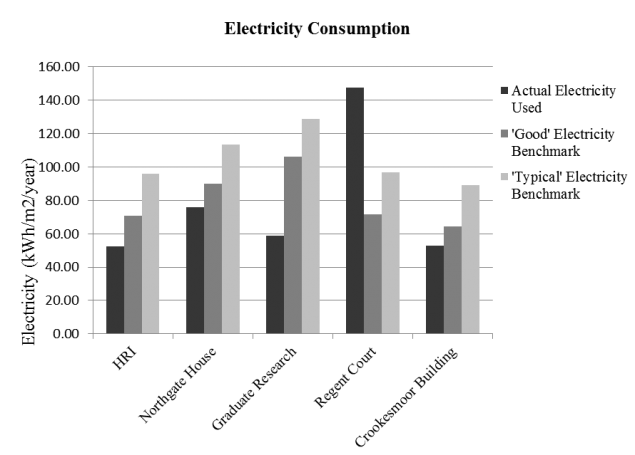 Darley & Latané, 1968; Forsyth, Zyzniewski & Giammanco, 2002 ) and social loafing (e.g. Latané, Williams & Harkins, 1979; Liden, Wayne, Jaworski & Bennett, 2004). For instance, the TPB suggests that behavioural intentions are influenced by three principal antecedents, i.e., attitudes, social norms and perceived behavioural control (Ajzen, 1991; Tonglet, Phillips & Read, 2004). Reference to this model can provide an explanation as to why people tended not to act in accordance with their pro-environmental attitudes (see NEP scores in Table 2). In short, while participants did appear to have positive attitudes towards energy conservation, this attitude was accompanied by a (wrongful) perception that acting to conserve energy was not a priority for the University and could be negatively evaluated by other building users (unfavourable social norms) and a belief that that they did not have the ability or authority to facilitate any change (low perceived behavioural control). According to the TPB, this lack of apparent support for taking action to conserve energy and the perceptively (and in some instances actual) low ability to act would have reduced their intentions to act upon their pro-environmental attitudes. The Heuristic model of environmentally relevant behaviour also considers norms as motivators of behaviour, both Personal Environmental norms (personal ideas about how one should act) and again, Social norms, as well as Other motives, which covers broader influences on an individual’s behaviour. However, Matthies (2005) argues that these norms are only considered when a conscious behavioural decision must be made. It is argued that most environmentally relevant behaviour, such as using electric heaters, is habitual and therefore repeated without consideration. In order for new norms to be formed, a conscious decision process must be engaged, where the individual becomes conscious of (1) that there is a problem (i.e. their habitual response has become defunct), (2) That their behaviour is relevant to the problem (i.e. they have some responsibility over the problem); and (3) that they have the possibility to influence their behaviour and it’s outcomes (i.e. their perceived behavioural control). Only if the individuals’ become conscious of these factors will they begin to (re)evaluate the norms on which they based their behaviour. In the present sample, there is a suggested lack of awareness among occupants about both the problem (i.e. the need for energy reduction) and the personal relevance of their behaviours in contributing to the problem. Combined with a perceived lack of control (as discussed above), according to Matthies (2005), this should encourage habitual behaviours to dominate, which could help explain the reported slow the pace of pro-environmental behaviour change. Diffusion of responsibility and social loafing literatures could also provide some insight into the apparent inaction within these buildings. Both theories indicate that in group situations people are generally less likely to take action than when alone because, for instance, they do not assume personal responsibility for taking action (anticipating that someone else will do so) or because they believe that others will not put in the effort, so do not put in (as much) effort themselves. There was evidence of both these view points within the focus group responses, with participants recognising that with multiple users of the building and work spaces, not everyone will feel it is their responsibility to save energy and may assume that someone else will be preventing energy waste. Importantly, by relating social psychological theories such as the TPB to the findings of this research, it becomes possible to speculate over how to implement changes that should stand to promote attitude consistent behaviour. Schemes such as the NUS ‘Green Impact’ were suggested as a potentially good vehicle for taking action by our participants. Such schemes are likely to be beneficial on several fronts, such as problematizing wasteful energy use, and so challenging occupants’ habits, potentially causing a re-evaluation of their behaviour and norms through conscious decision processes (Matthies, 2005). Energy schemes can also help to promote a shared sense of responsibility for taking action (provided that participation is not delegated to an individual or small team), providing focussed and targeted energy saving goals, in addition to the provision of the agency and authority required to make and enforce change. Visible participation in such schemes could help to make energy conservation normative, which will further help people to act on their positive intentions (see Schultz, Khazian & Zaleski, 2008) and discourage wasteful practices (e.g. Noor, Jamil, Mat, et al., 2012); such environmentally beneficial behaviours may then themselves become habitual (Matthies, 2005; Fischer, 2008). 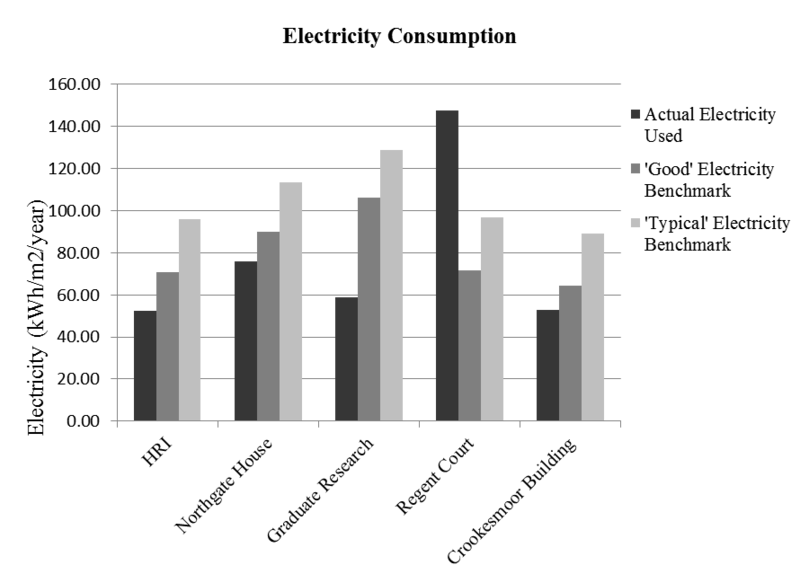 Moreover, the competitive element offered by such schemes might help to reduce loafing and promote collective action (see Driedger, 2011), particularly if individuals are informed of their personal instrumentality and importance in the collective energy reduction effort (see Collective Effort Model: Williams, Harkins & Karau, 2003). As highlighted in the present study, and argued by Fischer (2008) and Matthies (2005), the conscious decision process and subsequent re-evaluation of norms requires individuals to be provided with information and feedback so that they know the nature of the problem, the existing options and their respective consequences and impacts. The UoS has implemented systems within some buildings that can measure and feedback information on energy use at the building level (although this information is not currently accessible to all). Our findings suggest that increasing the granularity of this feedback to map to particular rooms (or even individuals), could both satisfy the desire among staff and postgraduates for more information on their energy use and illustrate how much they contribute to the University’s energy use and, in principle, how much they could help the University save, therefore enabling conscious, pro-environmental, decision making. The success of national schemes, such as NUS ‘Green Impact’, or more bespoke schemes like ‘BeCause’, hinge upon the effectiveness with which they are communicated. For example, while the ‘BeCause’ campaign does provide a consistency and clarity to the UoS’s sustainability effort (which should positively influence its effectiveness, see Djordjevic & Cotton, 2011), it was clear within this study that the message had yet to successfully reached staff and students. While it is likely that awareness of this campaign will increase with time, we would argue that additional channels of communication could be established to facilitate the aims of this campaign. For instance, Lehrer and Vasudev (2011) are investigating the use of a web-based social network with a forum where staff and managers can contribute discussions of energy issues. Such systems might not only help Higher Education Institutions to communicate and share ideas but could also prove effective in assessing the broader penetration and effectiveness of existing or planned campaigns. The present research provides insight into the socio-technical reasons as to why University buildings, in this case at the University of Sheffield, might ‘underperform’ in terms of their energy consumption. The findings indicate that while building occupants tend to harbour pro-environmental attitudes, they do not readily act on these; often citing a lack of awareness about the energy consumption of the building and a lack of personal control over – and responsibility for – energy conservation. These perceptions would appear to be augmented by the multiple-occupancy nature of the buildings and workspaces. The research indicates that participation in schemes like the NUS’ ‘Green Impact’ scheme and the provision of granular energy-use information to building occupants could stand to promote personal responsibility for taking action and make energy conservation normative, in turn encouraging both individual and collective action. The overall effectiveness of such schemes will, however, hinge to upon appropriate communication with building occupants to promote a consciousness and understanding of the need for action and how to act. Provision of energy use data alone is unlikely to be effective. 2. 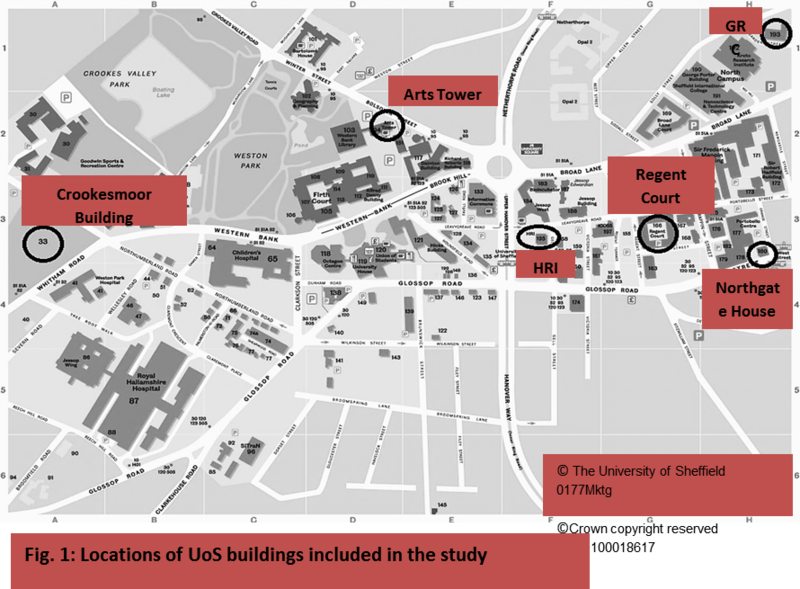 Occupants from the Crookesmoor building had been relocated to the Arts Tower (AT) at the time of completing our study (see Figure 1). 3. The building consumption information is provided for contextual purposes. The focus of this study is on the user-perceptions of energy consumption and not necessarily on explaining the buildings’ objective energy performance. While the low use of electricity in four of the five buildings is encouraging, this needs to be considered alongside the higher than average levels of gas used (and vice versa for Regents Court). In short, within each building there is scope for improving energy efficiency. The research is funded by the Engineering and Physical Sciences Research Council (EPSRC) via the E-Futures Doctoral Training Centre (DTC) Programme (http://e-futures.group.shef.ac.uk/page/home/). The authors would like to thank James P. R. Williams for his assistance in analysing the data. Ajzen, I. (1985). From intentions to actions: A theory of planned behavior. In J. Kuhi & J.
Beckmann (Eds. ), Action control: From cognition to behavior (pp. 11639). Heidelberg: Springer. Fischer, C. (2005). Feedback on household electricity consumption: a tool for saving energy? with non-central heating and cooling systems.(Report). Applied Thermal Engineering, 35, pp.40-50. Inbringen? Vorschlag eines neuen, integrativen Einflussschemas umweltgerechten Alltagshandelns. [How can psychologists improve their outreach towards practitioners? A suggestion for a new, integrative model of environmentally sound everyday practice]. Umweltpsychologie, 9(1), 62–81. Noor, N.A.M., Jamil, C.Z.M., Mat, N.A, Mat, N., Kasim, A., Muhammad, A., Salleh, H.S. promote conservation among hotel guests. Social Influence, 3(1), pp. 4-23.